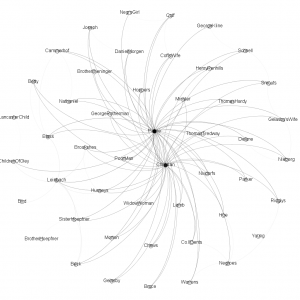 Gephi, software for Network Visualization, is used in our Digital Humanities 100 course. 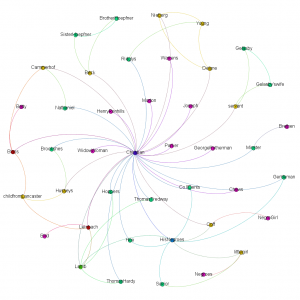 Different from any other digital tools we used for PAYNE – FROEHLICH JOURNAL 1747, Gephi discards the complicated story plot, emphasizes the network built by the two main characters and the various people they met on their journey. 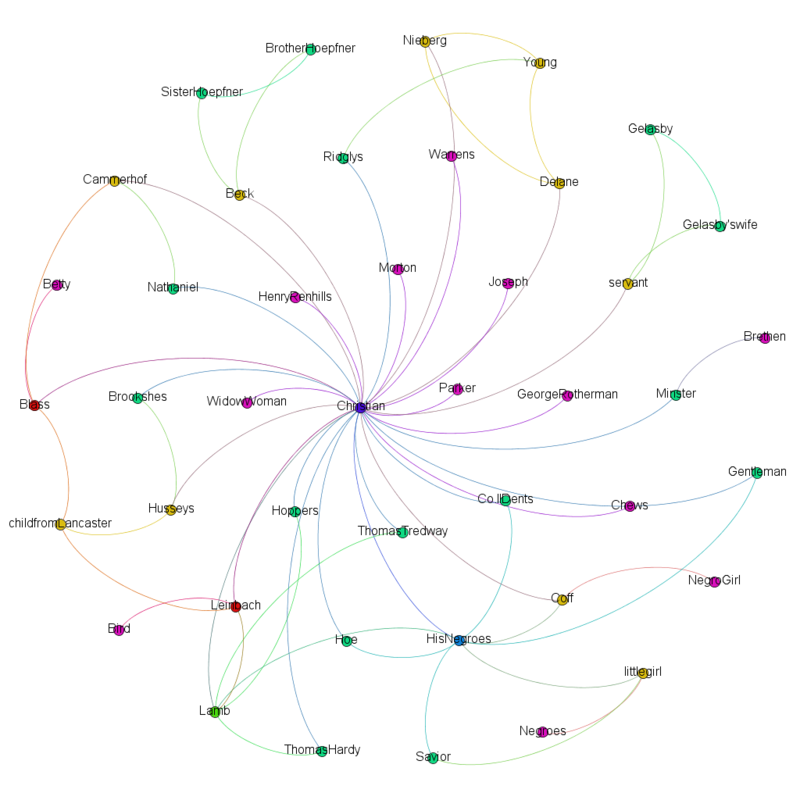 Gephi enabled us to eventually visualize relationships as a cluster. Here are two images of Gephi we did in class. The image on the left is by Sune. With two main characters, Froehlich and Payne, in the center, her Gephi is a network visualization of the relationship between each of them and all people who showed up on the journey. 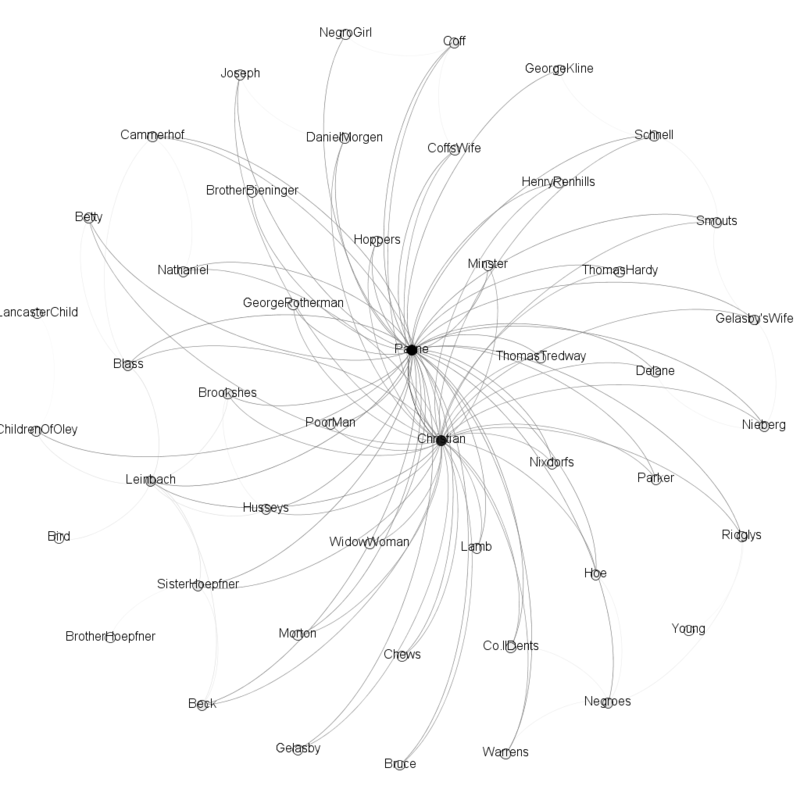 Comparatively, my Gephi looks a little bit simpler since it has only 1 center character, Froehlich. My idea is that, as Payne is the writer of the whole journal, he definitely has an central relationship with every other person who appeared in this journal. Because of this, I took him out of my Gephi visualization.